After 5 cities in 4 weeks, I still wasn't worn out yet. 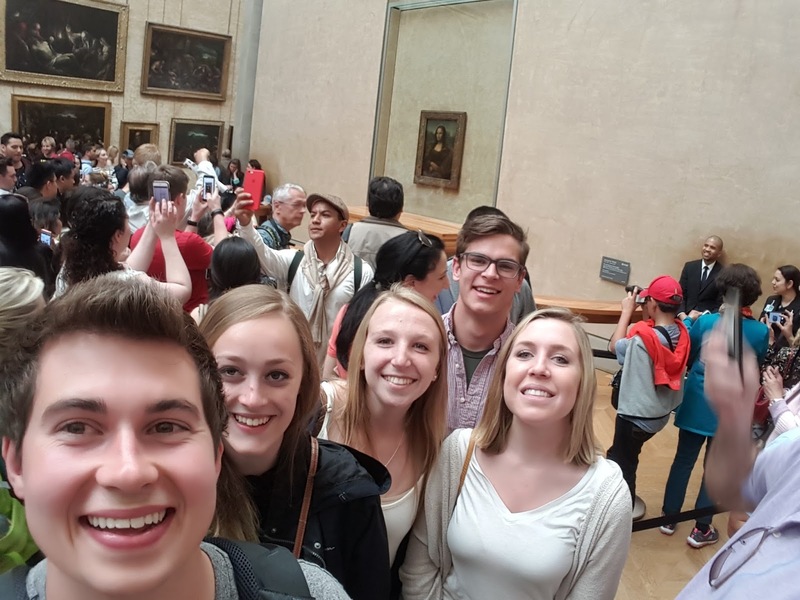 We had one last trip to take to hit up two of the biggest cities in Europe: Paris and London. This trip would complete the April extravaganza of 7 cities in 5 weeks. Our flight left Dublin Airport at about 6:30 am Tuesday May 3. 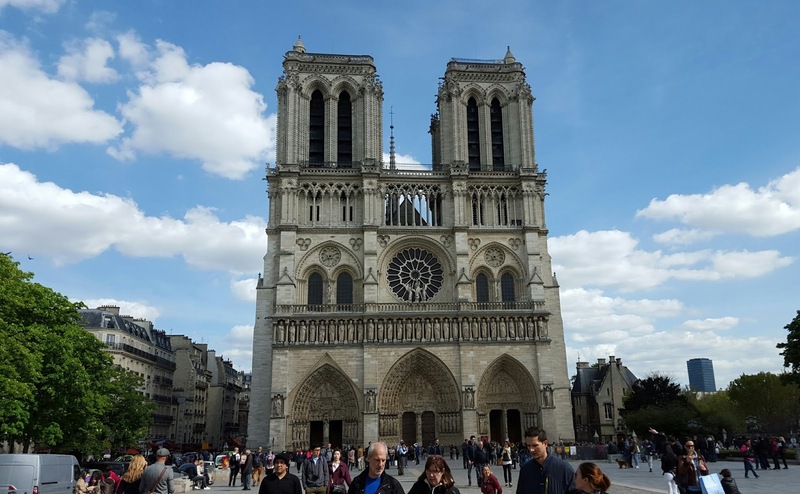 When we arrived at Paris Beauvais, we had to take a bus into the city center of Paris which took about an hour. We then proceeded to walk from the bus station to an apartment that we had rented for the 3 days that we were going to be there. On the way there, we decided to stop at the Eiffel Tower and hang out for a bit since we were supposed to get the keys to our apartment until 3pm and it was only about 11am at the time. 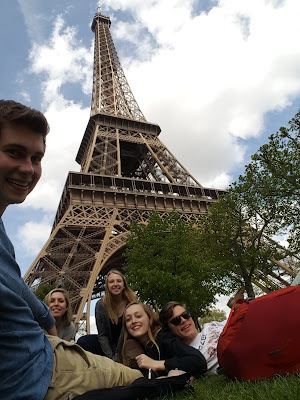 We hung out on a patch of grass right next to the Tower for some time, trying to process this surreal feeling that we were sitting next to one of the world's most popular monuments. Also, all of my friends back at Penn State were in the middle of their finals week and studying their butts off for exams so that made it all the more relaxing :). A few days earlier, I had gone out for dinner and drinks with some girls that were studying abroad in another country who were friends with my friend. 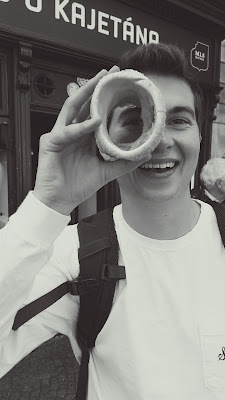 Out of sheer coincidence, they were also in Paris on this same day that we were. And out of pure unexplainable coincidence, as we were leaving the Eiffel Tower, I ran into them! 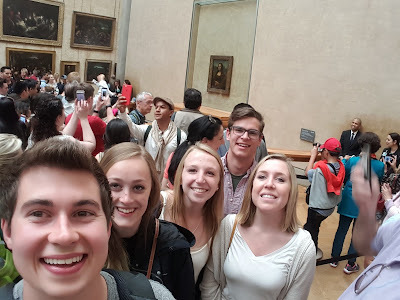 After chatting with them for a bit, we caught the subway and took it up to close to where our apartment was. We got settled in and went to find a place to eat. 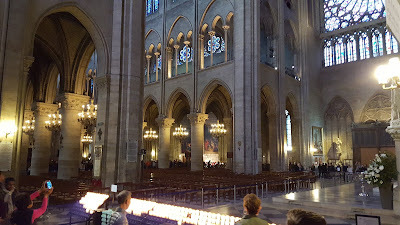 After eating, we were and visited the Notre Dame Cathedral. After the cathedral, we went a back to our apartment and cooked a great Italian meal and then stayed in for the night. 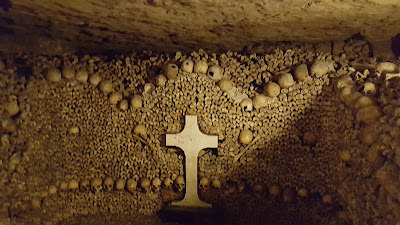 On Wednesday, we got up and took the subway to the Catacombs. 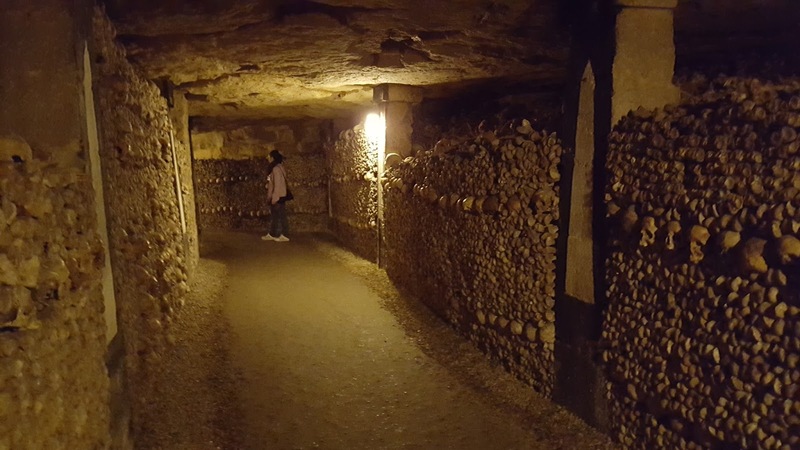 One of the 4 other people on the trip I was with, Laurel, had wanted to explore the underground ossuaries and although we had heard reports that we would have to wait a long time in line, it'd be worth the wait. And it definitely was. It was incredible to try to wrap my head around the vast number of tunnels that exist under Paris, nearly covering the entire city. 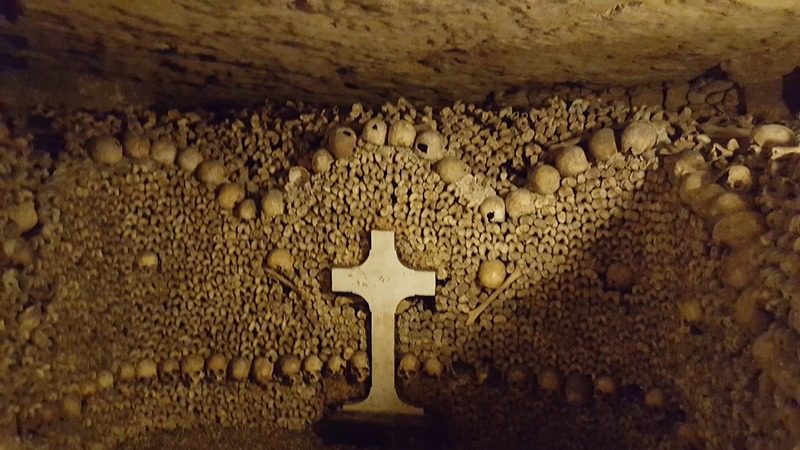 A fact that truly blew me away was that "although the Paris Catacombs are the largest underground necropolis in the world (with around 6 million skeletons), they cover no more than 1/800th of the area of the underground quarries of Paris. Quite the civilization back in the day it was indeed. 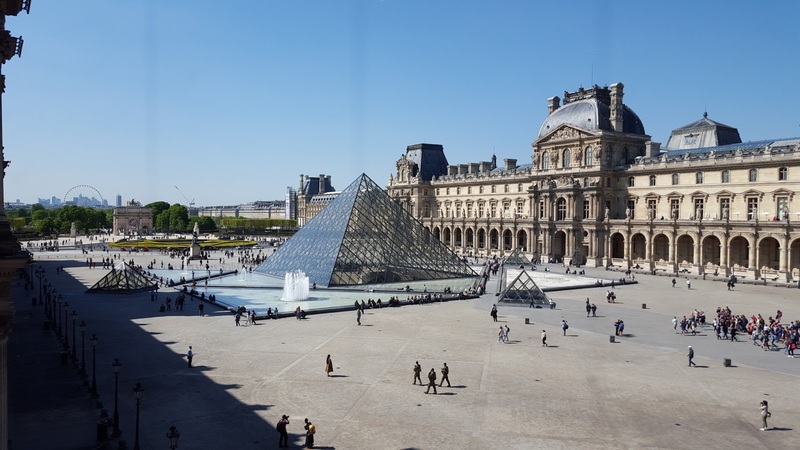 After the Paris Catacombs, we ate lunch then traveled back across the city towards the Louvre. That night, I convinced the crew to venture to the Eiffel Tower despite it being about 45 minuts away. We tried to take the subway but it was unfortunately closed at about 10:00pm and given how expensive taxis are in Paris, we decided to walk. It was quite a long walk but it was along a river that runs right through the city so it was still fun. 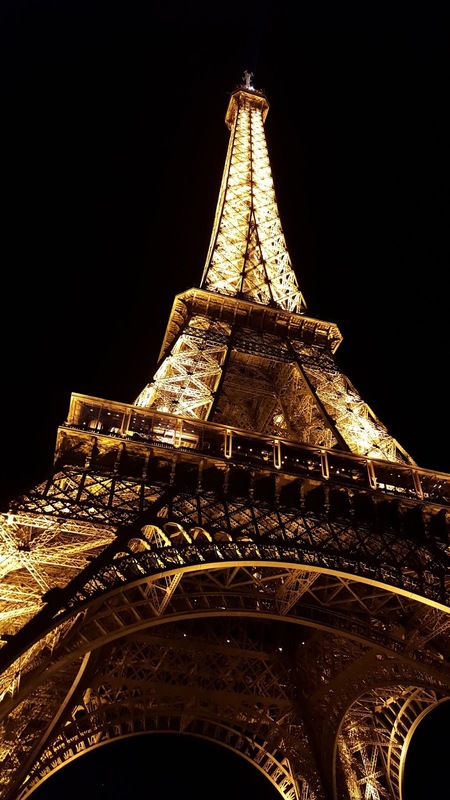 We got there and seeing the Eiffel Tower lit up was beyond breath taking. Exactly like it looked from pictures and postcards, but now I was actually seeing it IN PERSON, a truly once in a life time experience. We all sat on the grass for a while, taking in it majestic qualities and at one point out of the blue, it even started flashing all over in bright white lights, a sight only to be witnessed in person. We woke up the next morning and vacated the apartment by 10am per request of the owner. 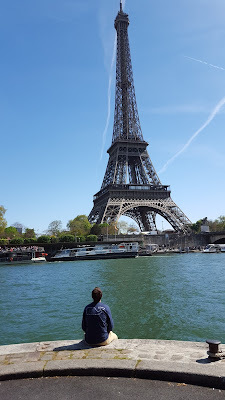 This time, compared to our failed effort to catch public transit the night before, we took the subway back to the Eiffel Tower and hung out in the grass for a while. We then wanted to go to the one thing Erin had requested to see this trip- this world famous macaroon bakery. It was about a 20 minute walk from the Tower and along the way we took great pictures with the Eiffel Tower in the background. It could be said that "Eiffel in love with this view"
The macaroons lived up to be as amazing as they were said to be- macaroons have been the dessert that I've come to love while abroad, trying them in every city I've gone to. These Paris ones were great but honestly they were all good and it's hard to tell one from the other. 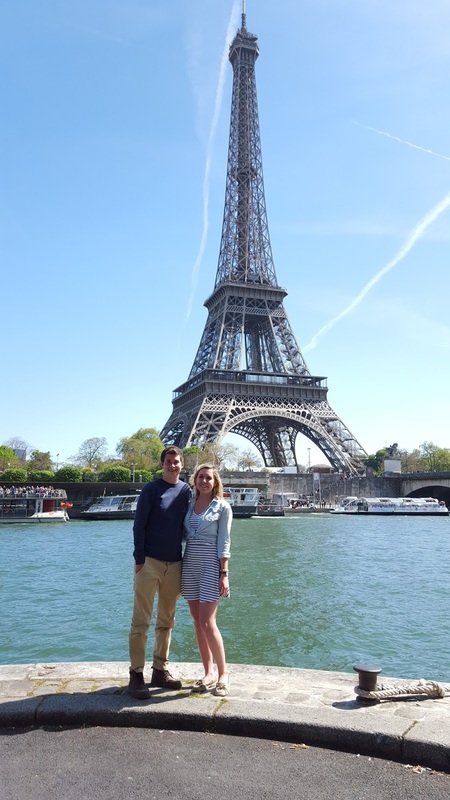 After this, we went back to the Eiffel Tower to pass more time before our train left at 7pm. 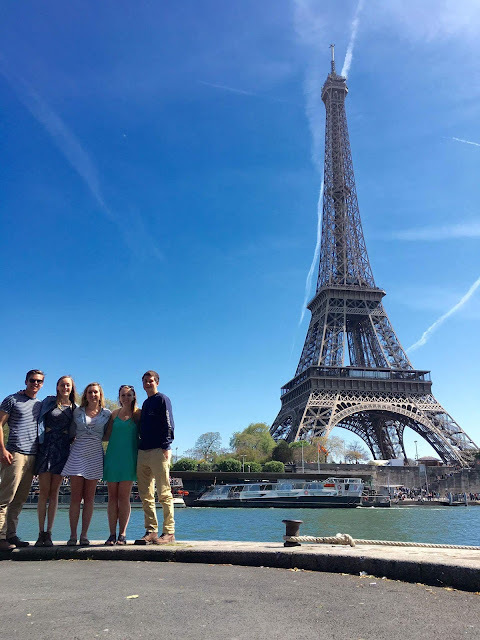 But I mean come on, who would complain about "killing time" in front of the Eiffel Tower, especially when all of their stateside friends were drowning in final exams at Penn State. 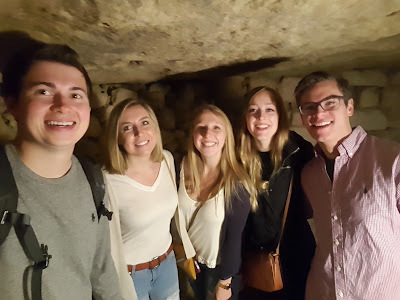 And after nearly missing the train from Paris to London, we had an hour to relax aboard the EuroRail which hit speeds of 150 mph and even goes under water between France and England through a tunnel! We arrived in London at about 9:30pm. 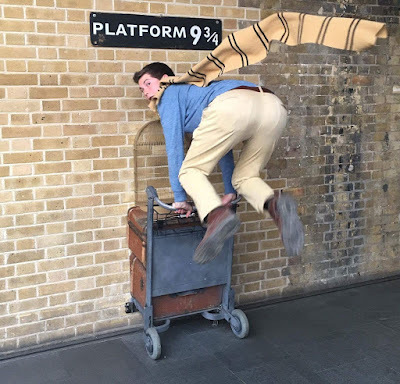 On Friday morning, we woke up around 9am and headed to the Harry Potter Platform 9 and 3/4 exhibit. Just as I had mentioned that Erin had really wanted to go to that macaroon place, Kelly was a Harry Potter super nerd at heart and had requested we go to this attraction. We waited in line for about an hour and then Kelly's dreams were fulfilled in the blink of an eye (with some great pictures of course; we all got individual pictures and then a group picture). After this attraction and viewing the products in the gift shop at outrageous prices (also with the conversion rate of $1.50= 1 GBP didn't help us much). We grabbed sushi on our way to Hyde park and proceeded to eat in the grass on a beautiful day in one of the most famous parks in the world. We then walked around London for the day, viewing all of the majestic attractions it is known for such as Buckingham Palace, Big Ben, the London Eye, and London Bridge. When it came time for dinner, we tried to infamous Nando's Chicken restaurant which was a fried and grilled chicken joint. It was quite tasty and I'd recommend it although the price was high for the quantity of food we order. After dinner, we bolted up to the neighborhood north of the River Thames to catch our spot on a "Jack the Ripper" tour. Laurel had heard great things about this experience and for only 10 Pounds a person, we were taken on a 2 hour tour to various places within the neighborhood in which Jack the Ripper lived during his terrible tenure. The tour guide was extremely informative and the tour was actually (in a weird way) very interesting. 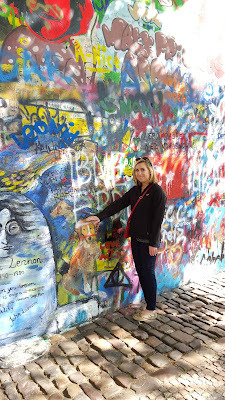 After the tour was over, we tried to take the subway home but had a rough time figuring it out so I suggested we walk. After looking at the map on my phone for a bit and mapping out a route, I told everyone that it only looked like it would be a 20 minute journey. And man could I have not been more wrong. Everyone was worn out from the 12 miles that we had already walked and just wanted to get home. I felt bad that it took longer than I had initially thought but once we finally made it home, it was incredibly relieving. A whole 45 minutes later....oops! 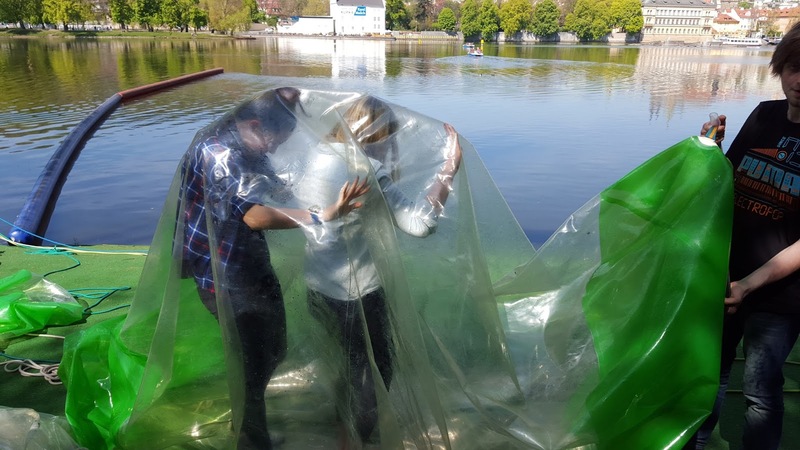 On Saturday, given that a few of us had exams in the next few days upon returning back to Dublin, we had planned to spend most of the day in Hyde park studying in a picnic setting. 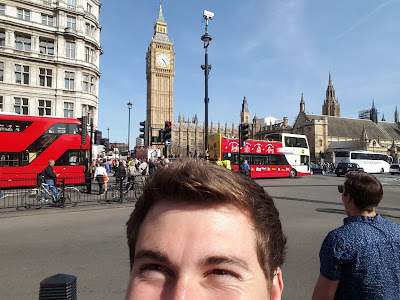 This seemed to offer the best combination of still enjoying the sights and sounds of a London afternoon but also studying some flash cards and notes to prepare for exam week. After a bit of studying, I ventured off on my own a bit toward the wealthy shopping district. I've been in some wealthy areas of America before but never have I seen such an abundance of wealthy super cars. Mercedes after Bentley after Lamborghini after Porsche....you name it, I probably saw it....many revving their engines as they cruised on by in this residential urban neighborhood. As a person who reads car magazines every month, I walked around with a mesmerizing expression on my face, trying it take it all in. It was everything I could have asked for out of an afternoon; great weather and even better cars. 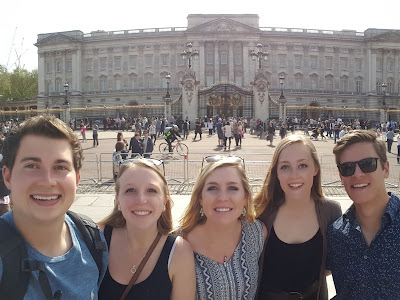 After spending the afternoon in Hyde park, exploring the surrounding areas a bit, and eating food, we packed our bags up to head to the train station to catch a train to the airport. 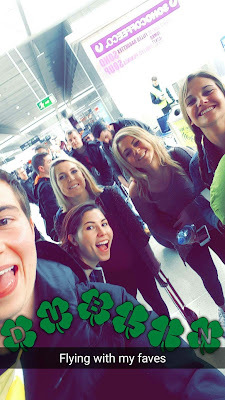 Our 5 day extravaganza of a trip was finally coming to close but we were all ready for it the short flight across the water to Dublin. It was incredible to visit two of the most well known cities in the world during such a good time of year when the weather is warm and tourist season isn't in full swing yet. Our bank accounts weren't wiped completely clean yet, but getting very close. 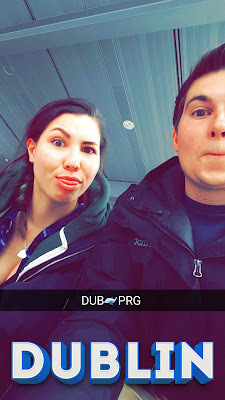 In two short weeks we'd be back in our homeland after finishing finals. All of the traveling outside of Ireland had come to a close after the return from London and Paris totally 11 cities outside of Ireland. Quite an incredible feat in just 17 weeks, not including the traveling done on weekends in Ireland. 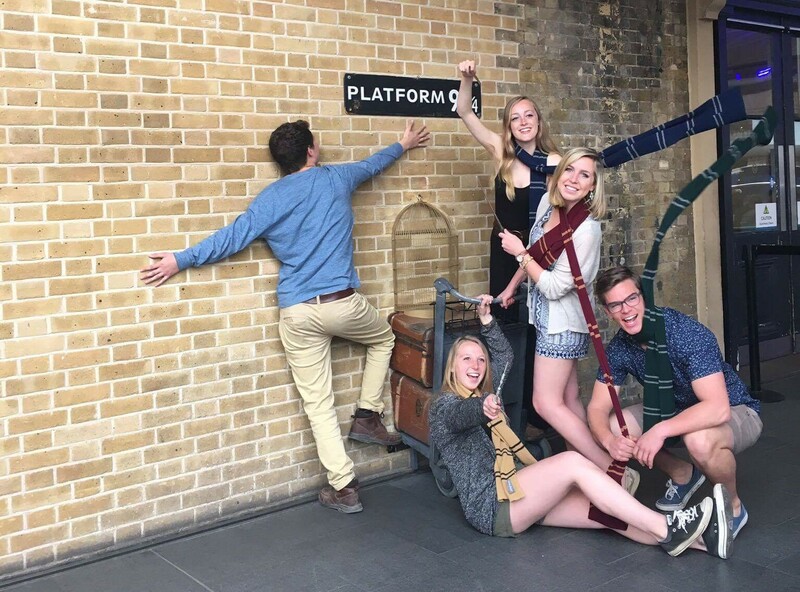 It was the experience of a lifetime; an experience that will never be forgotten and cherished forever. 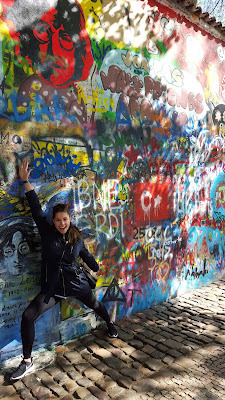 The decision to go to Prague was a last minute one for sure. About two weeks before hand, Kelly busted into my room and said "Flights to Prague are only 110 Euros roundtrip, wanna go?!" And I was like sure! 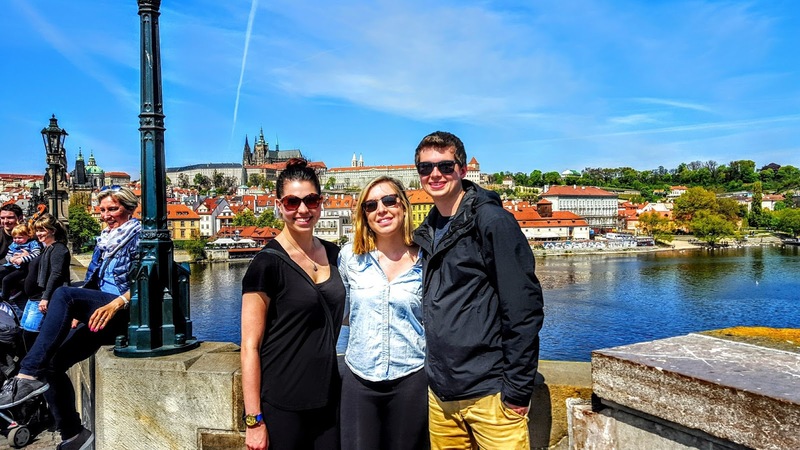 So we booked a 3 day trip that night and about 3 days later, our friend Sydney decided to book a flight as well with us! It was the weekend right after classes had finished so it we joked that it was a celebratory trip now that classes were over! 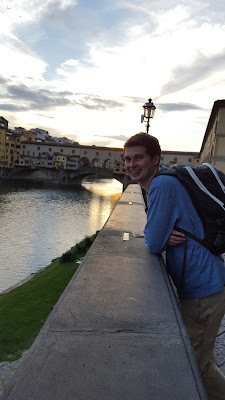 (And yes I did go to class quite a bit as much as people back in the United States think I don't but who wants to see pictures of me in class anyways, it's no different than the classes at any other college!) Much to my surprise, two of my other good friends Lauren and Mary were also going to Prague on the same flight as us which was great! Once they got to Prague though, they were getting on a bus to go to Croatia. 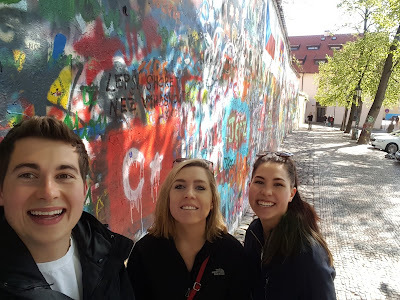 Our flight left Dublin at about 1:45pm and we arrived in Prague in the late afternoon around 5. From the airport, we took an Uber Mercedes to our hostel and got settled. After many unsuccessful attempts to find a relatively inexpensive place for food that had space available (Thursdays must be the night to eat dinner out because every place was packed! ), we finally decided to go to a Chinese place. We got three large plates of food and split it between the three of us; a whole lot of food and desserts for about 11 Euro a person- a great deal for dinner. While searching for a place to eat dinner, we walked past this place that was called a "Bed Bar" which looked intriguing. 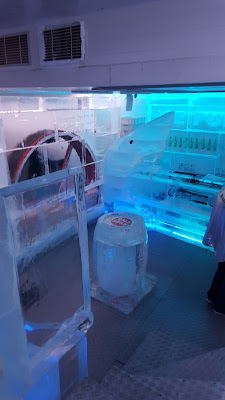 So after dinner, we went back there and it might have been one of the most unique bar experiences we had while in Europe. 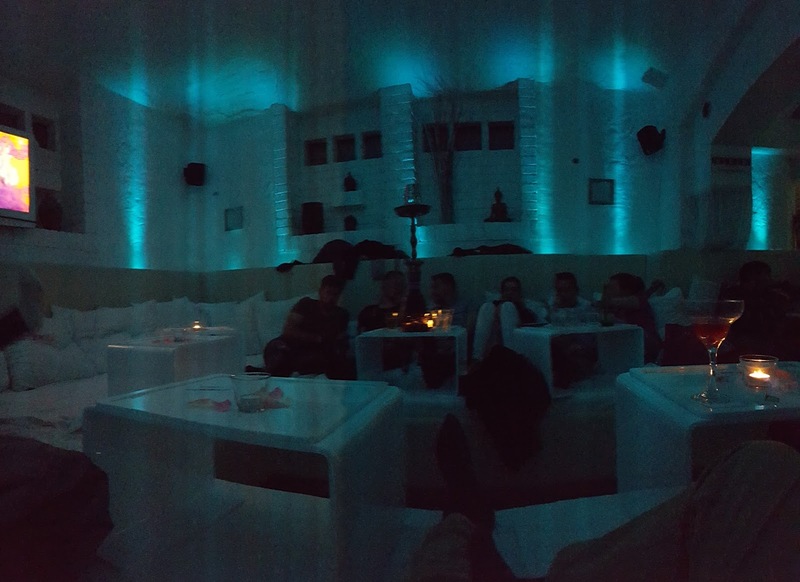 It was a room full of soft memory foam couches along the walls and small tables on top on the couches to put drinks. The lights were good, the music was hoppin', and the drinks surprisingly weren't too expensive for a place as cool as that. I mean come on, it was a combination of two great things: drinking and laying on a couch with shoes off and good vibes on :). 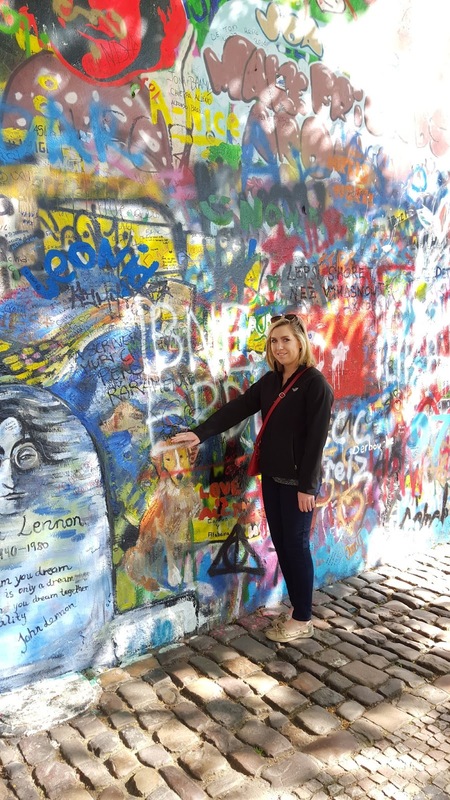 The next morning, we got up bright and early around 9am and walked across the famous Charles Bridge towards the John Lennon Memorial Wall. 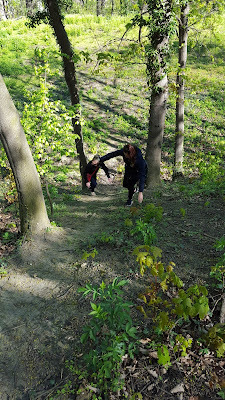 Then I made the girls venture off from the original path and walk up what turned out to be a little steep and slippery for the shoes they had on but they still made it. At least I got a few laughs out of it even if they might have been yelling "Brian why'd you take us this way!!" 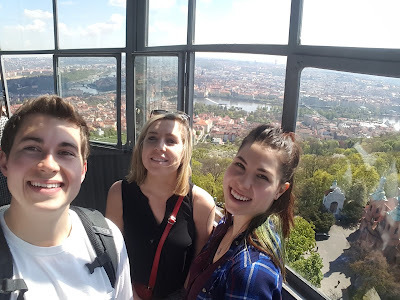 After reaching the top of the mountain, we climbed (even more) steps to get to the top of an old radio tower which offered breathtaking views of the city. 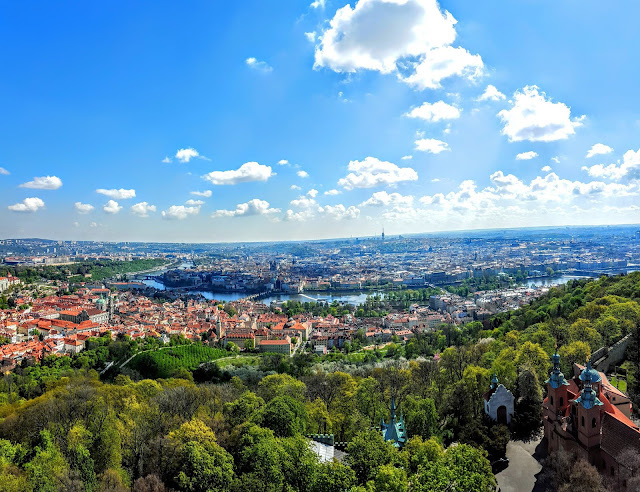 After getting our fill of these amazing views, we walked to the Prague Castle. We paid 12 Euros to get an admission ticket to see a few of the different parts of the castle and cathedral and such, pretty similar to all of the other billion castles and cathedrals we've visited while in Europe. 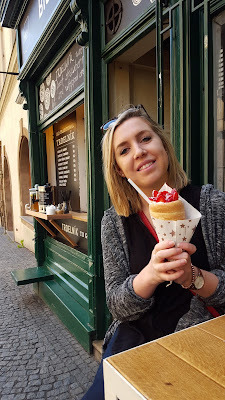 Along with the castle, we also got a traditional Slovak dessert called a trdlenik, pronounced "turtleneck", which is dough wrapped around a stick, grilled, and covered in sugar and whatever other toppings. After taking pics here and there by the castle, we scurried along to this park that Sydney had heard good things about. Just like the radio tower, it overlooked the city but this time from a different angle. It was cool to look in the distance and see the radio tower that we had just climbed and tall it really was. 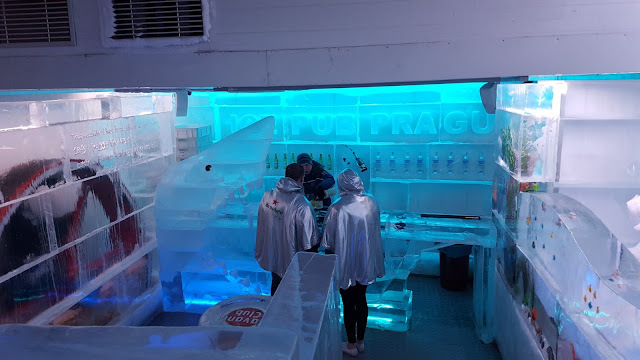 After napping in the park for a bit on the warm sunny 70 degree day, we went to something that was unique to Prague and sure to cool us off- a bar made entirely out of ice! The hostel gave us coupons so it was only 8 Euro which included two free mixed drinks while we were in the bar. They only allowed you to stay in the bar for 15 minutes due to the temperature being so cold in order to keep the ice cold. 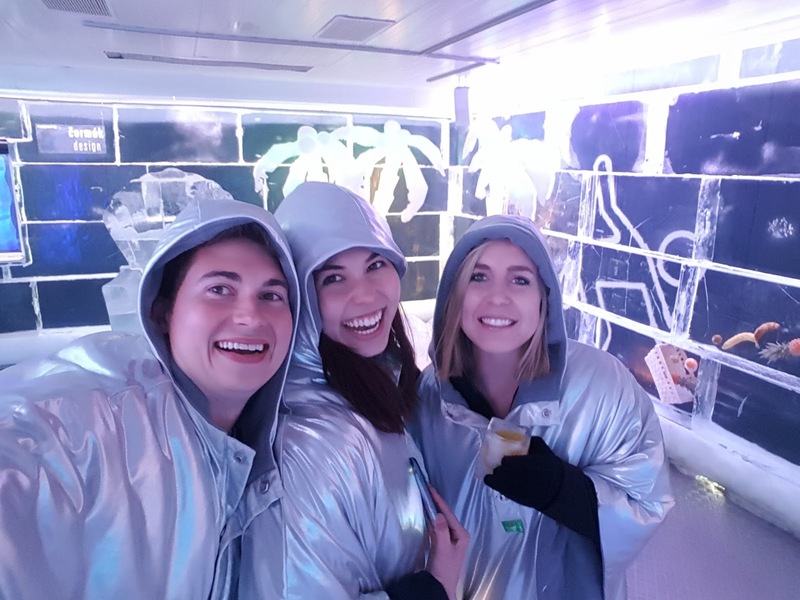 It was another incredibly unique bar experience like the couch bar. After getting back into the bright sun and warming up again, we headed back towards the hostel, got dinner, and got ready to go out. We went to this club that my cousin Noelle had referred us too and it didn't disappoint given that it was 80s and 90s themed night. After a night of dancing, we decided to try KFC because we had heard that KFC in Prague is SO GOOD compared to the American version. So we all got some chicken, savored it amongst the crowds, and unanimously decided that it was in fact better than the American KFCs. The outer shell of the chicken tender was just the right amount of crispiness, almost like frosted flakes consistency, there was the right amount of seasoning, and the chicken melted in your mouth. It was a little more expensive than American KFCs but worth it to test the myth. On Saturday morning, we woke up at about 9am again, in order to get to this place by 10am. This place I'm referring to is something we saw the day before after doing the ice bar- it was a human hamster ball type of blow up ball that could fit three humans in and the goal was to walk across water. 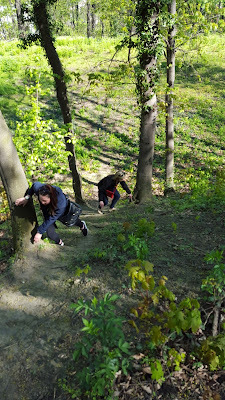 We knew we had to try it because it looked like so fun even if the whole time we were just falling over- and that's exactly how it went. 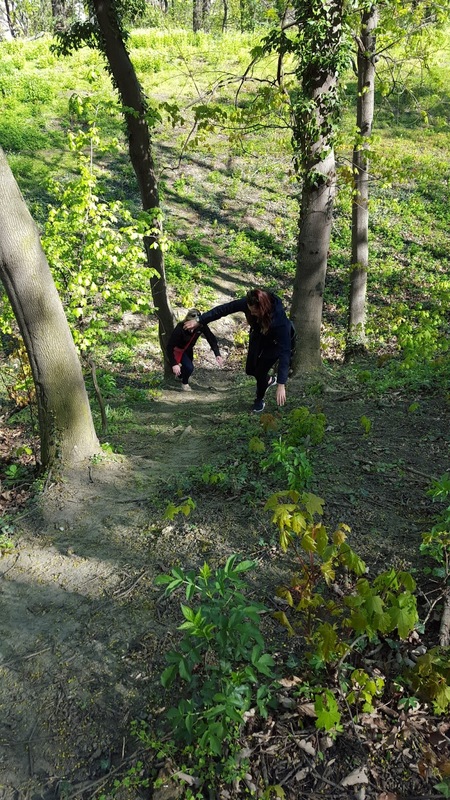 We'd each take about 3 steps and then take a tumble, laughing the entire time. 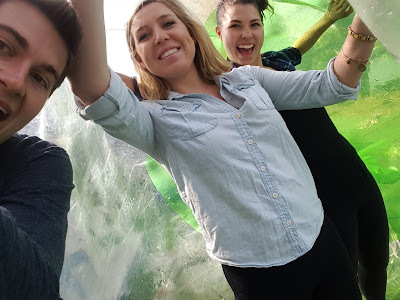 In the final video that I compile, I'll be sure to add clips in from this ridiculous(ly fun) experience. After this, we took one final group picture on the Charles Bridge and then headed back to the hostel to grab our stuff and head to the airport via and Uber ride. It was a great trip with great weather and even better people. 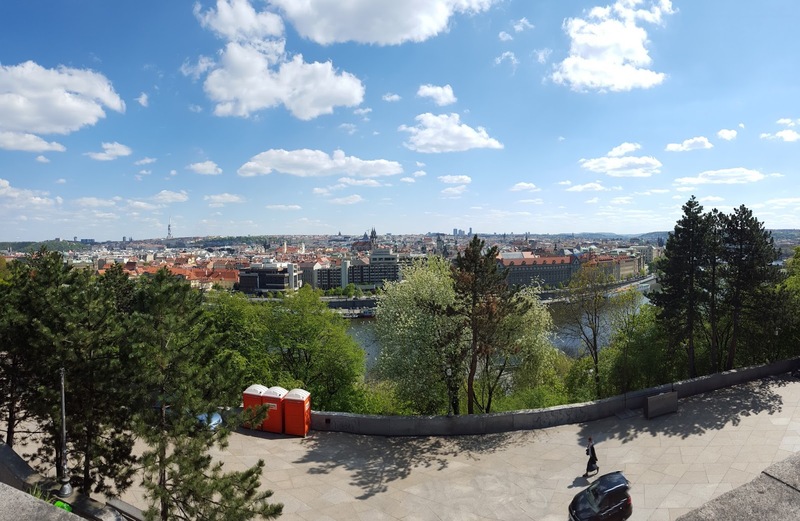 Considering it was a sporadic trip that we decided to take, I'd like to think it was Prague-ably one of my best decisions while studying abroad. 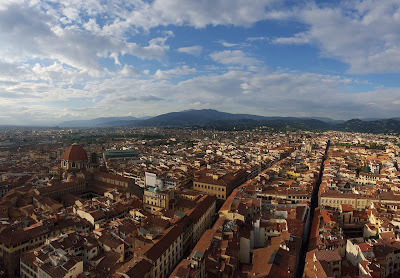 The first word that comes to mind when the place Italy is mentioned has to be pizza or pasta. The land where vine ripe tomatoes are turned into delectable sauce that is highly sought after. Coming from an Italian family myself, I was very eager to explore the land of endless vineyards and amazing food. 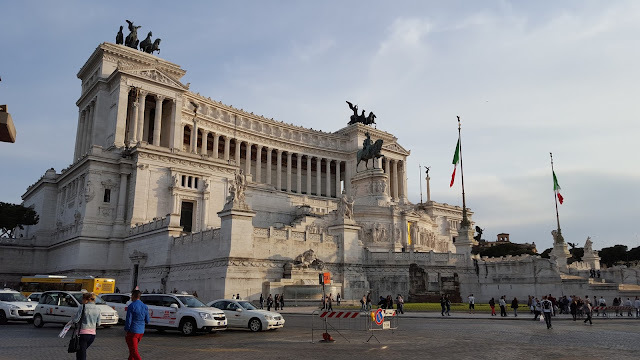 So as part of trip #3 on the "7 cities in 5 weekends" trip, we took our favorite (because it's the cheapest) airline, Ryanair, from Dublin to Rome! 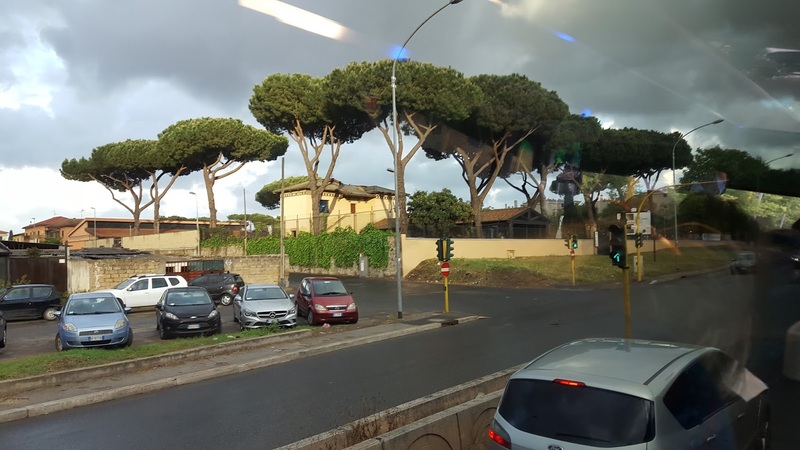 Our plane departed at about 7am on Thursday morning and by the time we got to the airport near Rome (which may have been the smallest airport I've every been to), we took a bus into the city and arrived at the bus terminal around 12pm. One of the first things I noticed was how cool the trees looked! It reminded me of a place tropical with trees that have big bushy tops. The weather ALSO made it feel like Florida, it was almost 70 degrees outside! After living in Dublin where it rains quite frequently and is consistently about 50 degrees, this felt like summer. Once we got to the bus terminal that was almost in the middle of the city, the first thing we wanted to do was find food. 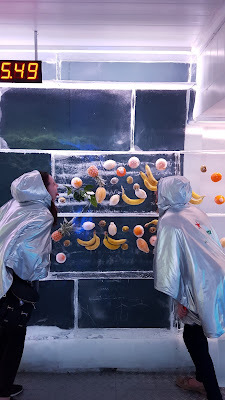 I mean come on lets be honest, what we really came here was for the food anyways, not all the marvelous history...or maybe that was just me....either way, it was bound to be a good time :). We found a small little café and I ordered a 3 course meal for just 10 Euro, it happened to be the lunch special. I ate some of the best bruschetta, lasagna, and tiramisu that I had ever had and this was only the first meal.... the excitement for the next meal was SO REAL. We dropped our bag at the hostel and got into the touristy mindset. 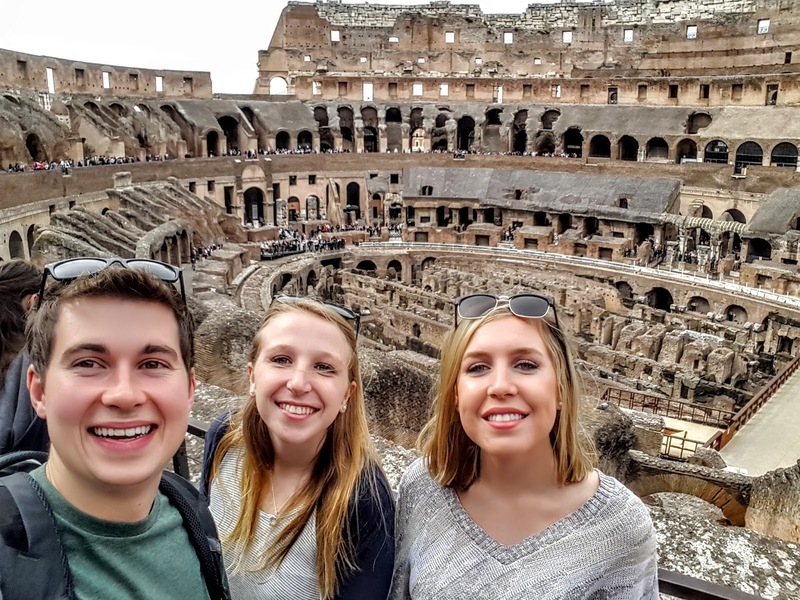 We walked to the Colosseum which was about 20 minutes away, taking in the beauty of the city buildings and old architecture on the way there. From left: Me, Erin, Kelly, the only three on the trip! 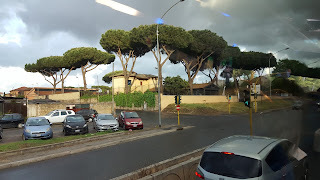 After taking in the sights and wonders of the Roman Colosseum, one of the greatest monuments to have survived the classical world, we went to Palatine Hill. It was incredible to see a lot of the remains still there and with such a beautiful day like we had, everything was in its full glory as the rays of sun cast on the features. We walked back towards the hostel with the intentions to find some dinner along the way. We ended sitting outside at this place situated on one of the main roads in the city. We all ordered a glass of wine, even though I don't normally drink wine, it was only fit for a country where the wine is so highly regarded. I also ordered a fresh margherita pizza which, as you'll be able to guess, didn't disappoint either. We continued walking to the hostel and got gelato afterwards, another staple item in Italy. By the time we arrived back at the hostel, we had plans to naps and then go experience the night life but we ended up being to tired to rally so we all fell asleep. 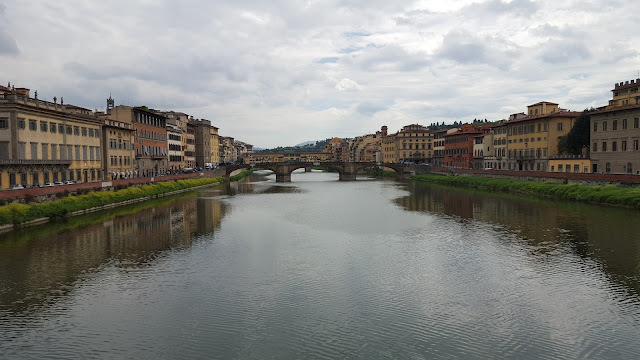 In the morning, I got up around 9am to walk to the train station to catch my train to Florence, Italy to visit my cousin Noelle who was studying abroad there. She had visited me in Dublin earlier in the semester so I had promised her I'd visit while I was in Italy! And man oh man am I glad I did. The high speed train connected Rome and Florence through one of the prettiest landscapes I've ever been able to witness. Surrounding the tracks were big rolling hills with grape vineyards in every direction. 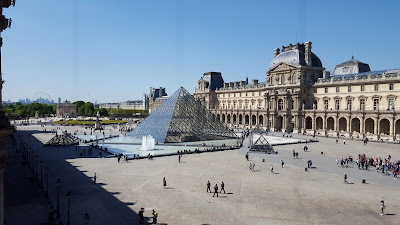 It was another beautiful day out and the sun, beaming on the bright green grass, made for a train ride that, although I was planning to sleep on, made it very hard to close my eyes because I already felt like I was in a dream on the train. 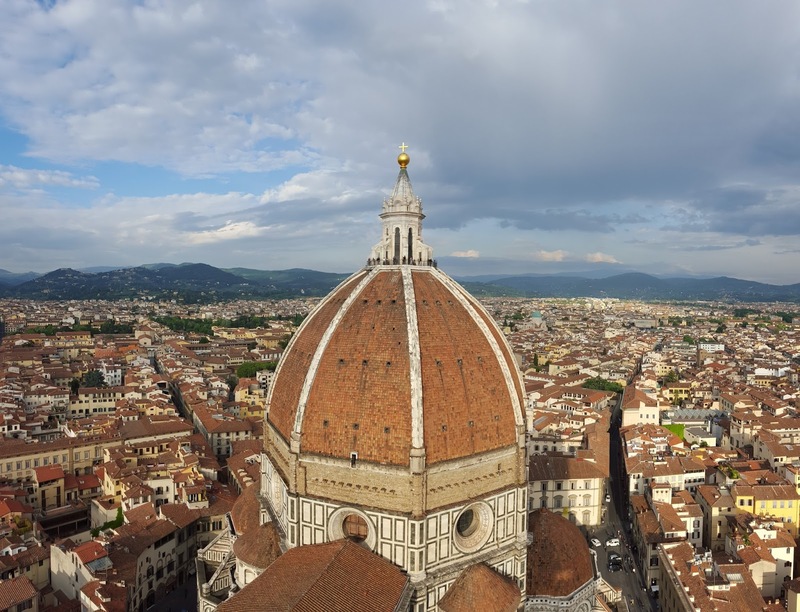 It reached speeds of about 150 mph and arrived in Florence around 1pm. 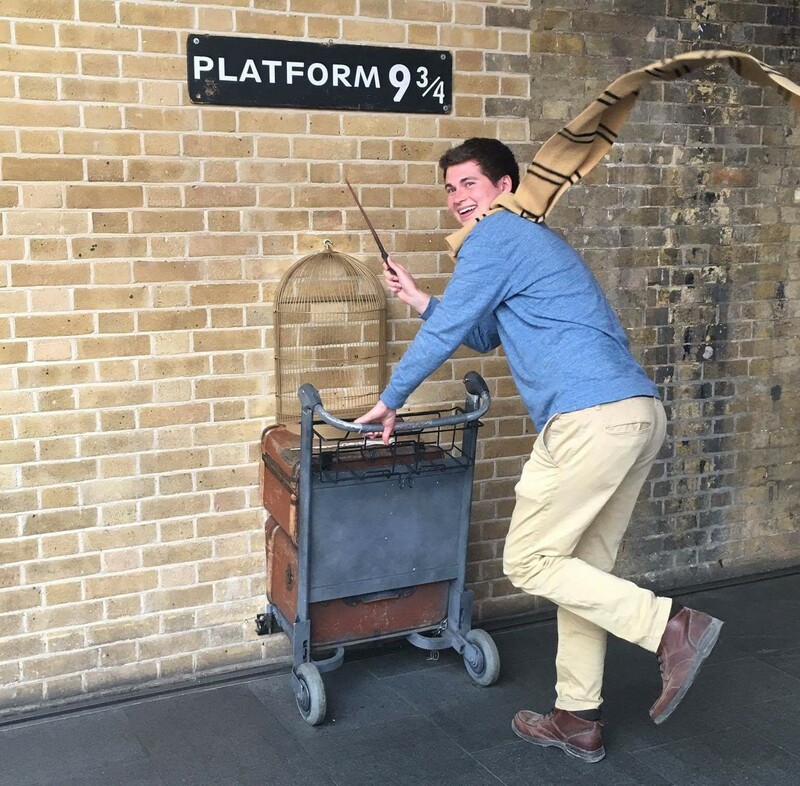 When I got to the train station, I couldn't find wifi and I realized that I hadn't even asked Noelle what her address was, so I was just a lost puppy dog until I could find wifi. But if there's one thing I've learned from study abroad, it's to embrace all the moments, especially those where you might be lost. It's creates a mental toughness that even though you may feel lost in life, there's always going to be a way to figure things out and you have to do everything you can to make it work. So as I walked around the Florence train station with a glimmer hope of figuring out where to go, preparation met opportunity and I got lucky by finding a Wi-Fi network that worked. I received the address from Noelle and walked to her place. 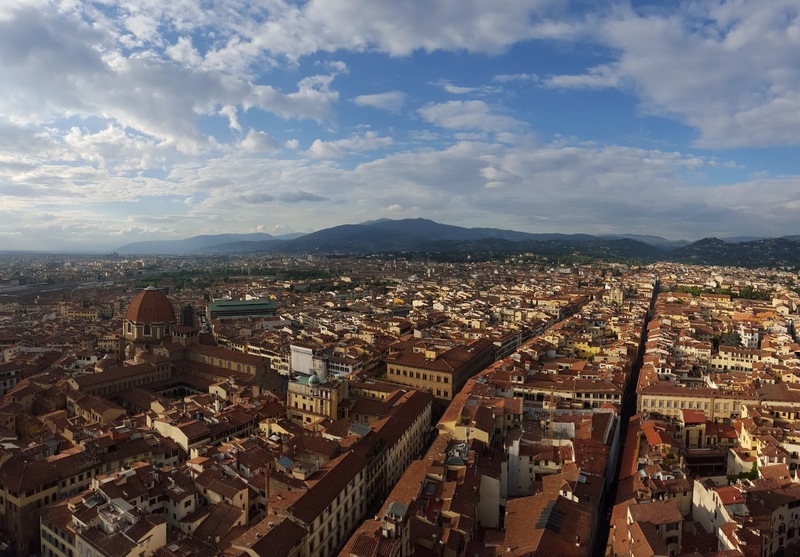 Upon greeting her, we had lunch and then headed up to Piazzale Michelangelo, an overlook which provided unbelievable views of the city. To our surprise, there was also a gelato festival happening in the square! The best part was, for just 6 Euro, you got to try 14 different flavors of gelato in either a small cone or cup form. I was in heaven. This day was already off to a phenomenal start. 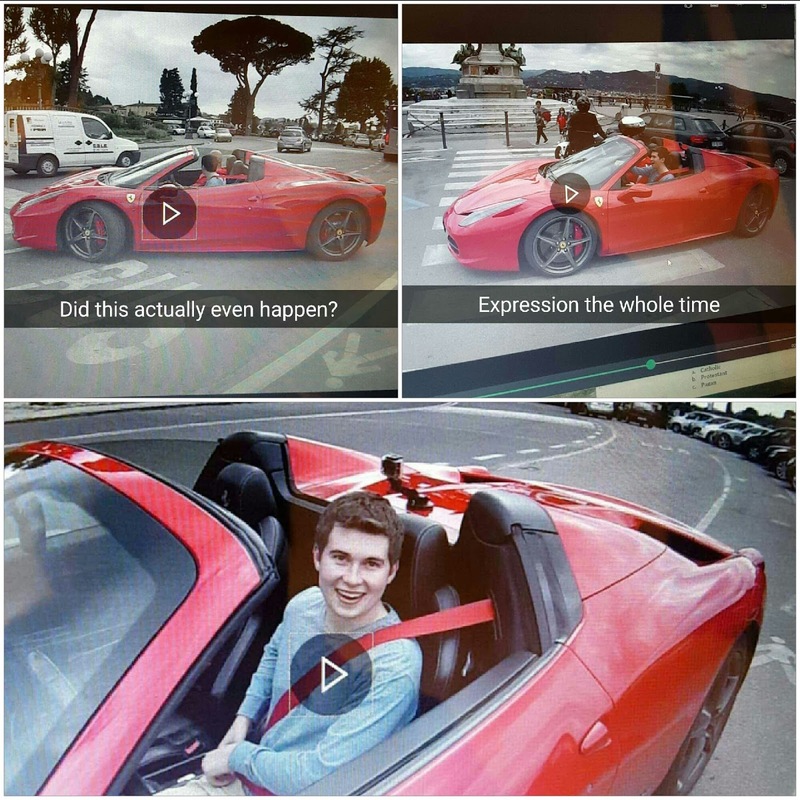 As we walked around enjoying all different types of flavors from mango strawberry to Nutella to black cherry, I spotted a red Ferrari in a parking lot about 100 feet away. And of course, being the car aficionado that I claim to be, I had to go check it out! As we are eye-ing up the car, taking pictures and all, an Italian man asks "Do you want to drive it?" And for that split second, I heard the little voice inside of me scream OF COURSE but the other part of me thought 'There's no way this could be possible....this is a $350,000 car and he's just going to let a 21 year old American take it for a spin? Yeah RIGHT, that's impossible." And in the split second I contemplated all of that in my head, he handed me an information car and said "Seriously, all you need is a driver's license. Just 60 Euro to drive it for about 15 min. And sure that seems like a hefty price for a just a bit of time but this is something I've wanted to do since I was 16 years old and now I finally had the opportunity to. Except one crucial part of the equation was missing.... I DIDN'T HAVE MY DRIVESR LICENSE WITH ME. My heart sank. They said a picture of it would suffice so I prayed and hoped that my roommate would be home and could send me a picture of my license because it was right on my desk. I had a limited Wi-Fi connection so I was able to message her to send me the picture but once she sent it, I couldn't download the picture! I decided to do something I told myself I would never do unless I was in an emergency...turn on international data for my cell phone....sorry mom! This was an emergency and I told myself I'd pay for any of the ridiculous international data charges that were tacked onto the monthly bill. So for 30 seconds, I turned it on, downloaded the picture, and finally my eyes lit up. I calmed walked over to my cousin Noelle and with a slight grin on my face holding back the immense excitement and said two words: "It worked". Her face lit up and she goes "Let's go!!" And it was history from there. It was everything I could have imagined. Although I only got to drive it on windy roads in between towns, the tutor in the passenger seat let me drive it the way I wanted, revving it around turns and taking in all the sounds not only from the engine but also the people who saw the car drive by and yelled "Wow that's incredible" just as I would have if I were on the sidewalk and saw it. It was a short lived experience but I enjoyed every second of it and it honestly felt like a dream. I've driven some fast cars before but nothing to this capacity. 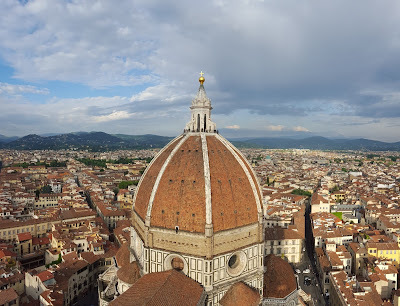 Afterwards, Noelle and I took some pictures in front of the city overlook and then climbed to the top of the bell tower for the Cathedral of Santa Maria del Fiore. 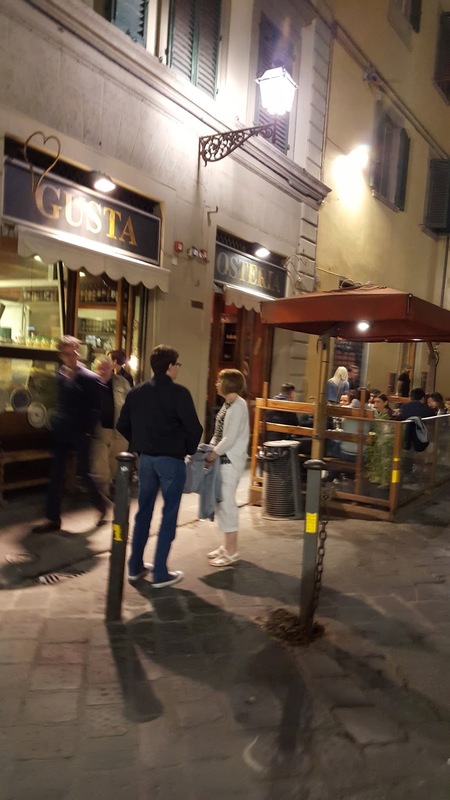 After a full day of walking around the city and plenty of excitement, we went to a restaurant called Gusta that Noelle had suggested and enjoyed some of the best meatloaf (only second to my mom's!) and spaghetti that I had ever had. By this time, it was around 9 pm so went home and got ready to go out. 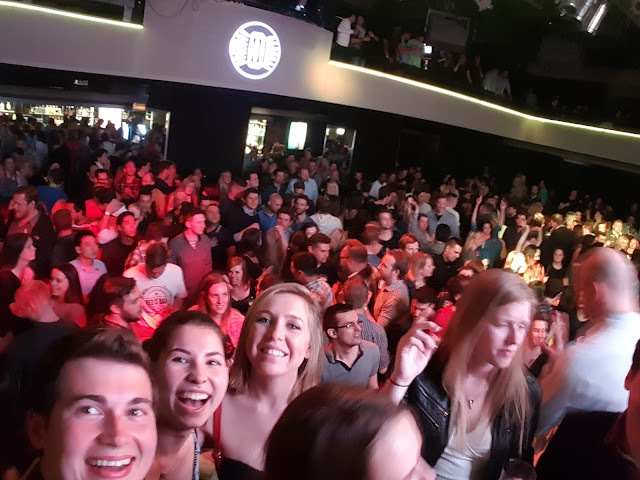 I got to experience the night life at one of Noelle's favorite bars because it had karaoke. And by the end of the night, Noelle and I had done karaoke together on stage to "Tik Tok" by Kesha and wow it must have been quite the sight after wuite a few beers in us :). 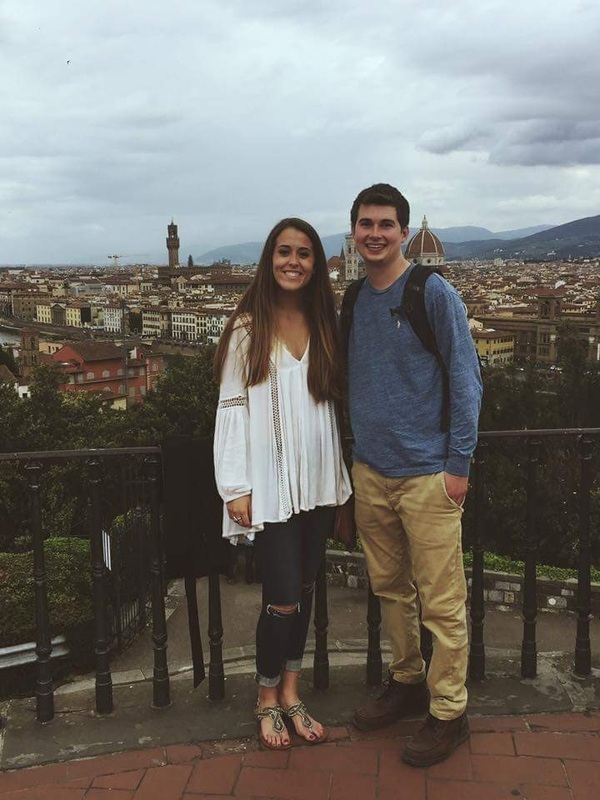 On Saturday morning, I woke up, said goodbye to Noelle, and walked to the train station around 11am. 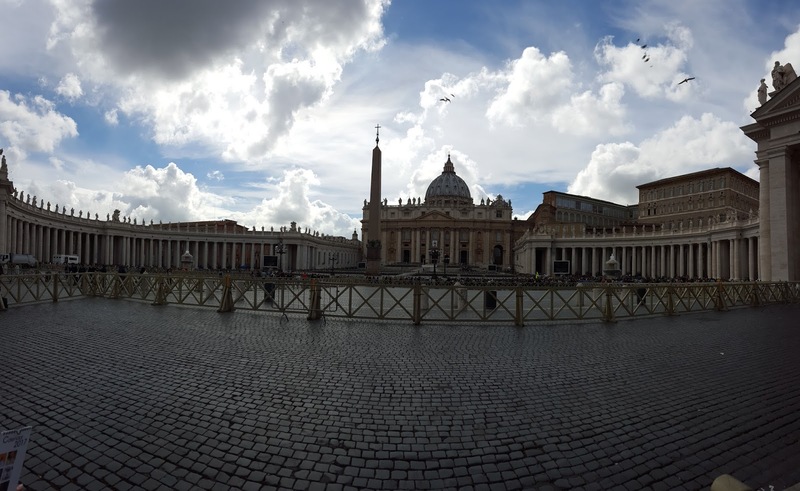 I arrived back in Rome around 1pm and had wanted to go to the Vatican that day to finish off the Rome trip. 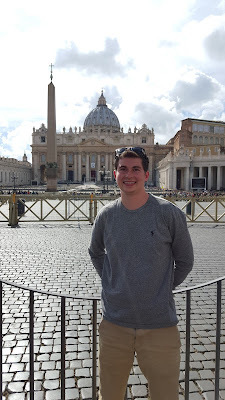 The other two friends that I was in Rome with, Kelly and Erin, had left earlier around 10am for the Vatican so I was fine with traveling there on my own. 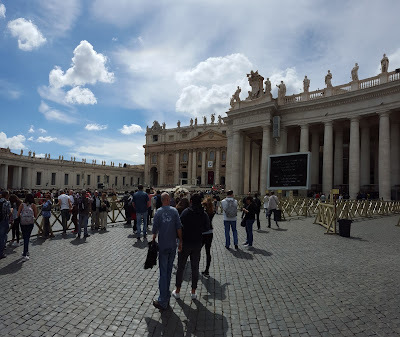 Luckily, I was able to take the metro to Vatican City right from the train station. 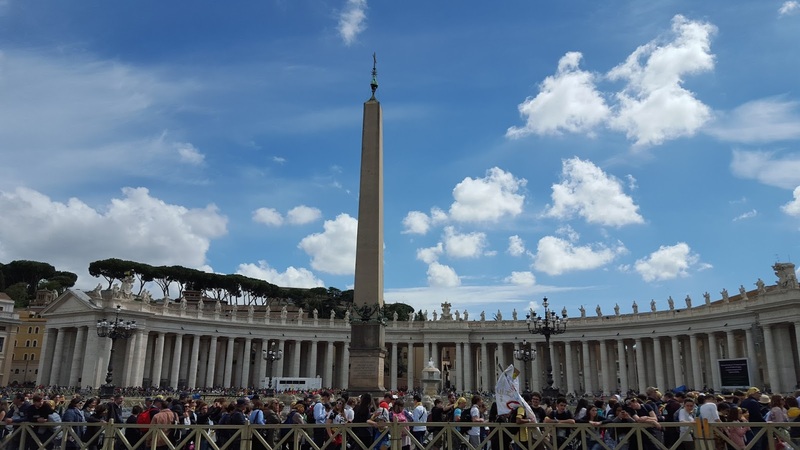 Unfortunately, I didn't get the chance to go into the Vatican or the Sistine Chapel because the line was incredibly long and I was a bit short on time. It was incredible just to stand in Vatican Square and take everything in on the bright sunny breezy day that it was. 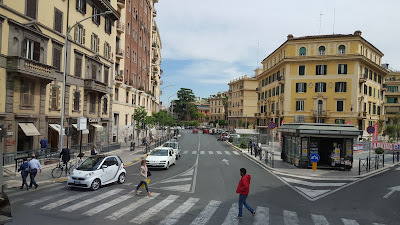 At about 4pm, I took the metro back to the train station in Rome and walked back to the hostel to wait to meet up with Kelly and Erin. We boarded a bus at about 6pm to head back to the airport to catch our 9pm flight. 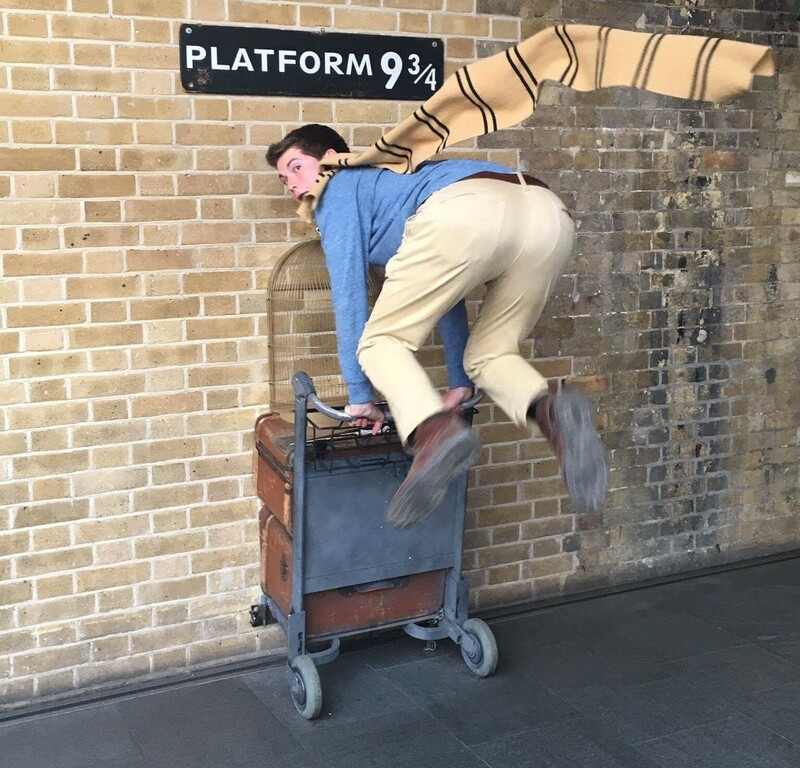 It was the trip of a lifetime. Everything fell into place very well and the food was everything I had hoped for. Originally, my family was going to come visit me in Dublin and then we were going to travel to Rome for a few days but that fell through because of my dad having a conflict with work that week. 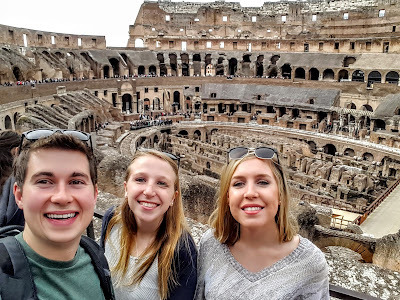 So as much as I would have loved to visit Rome with my family, I'm glad I still got to go with friends and experience all that it has to offer. 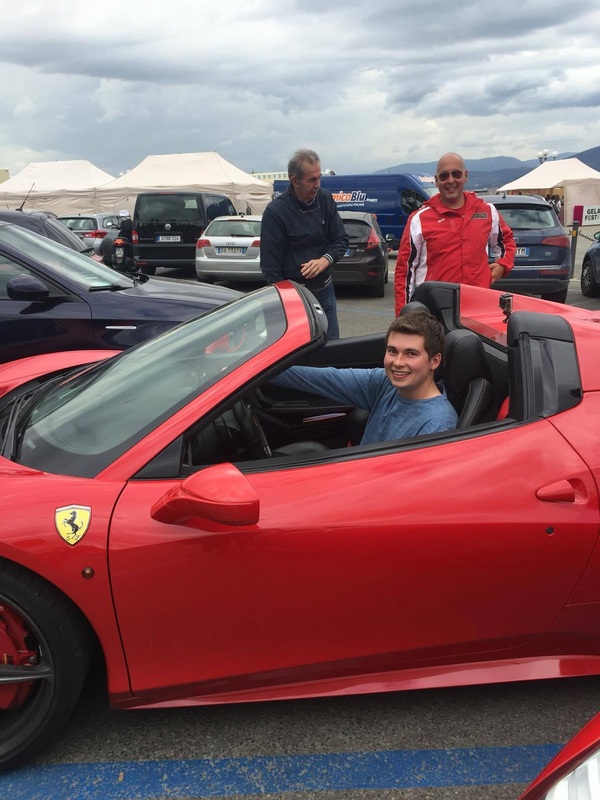 And let's be honest, if my mom was with me, she would have never let me drive that Ferrari :).